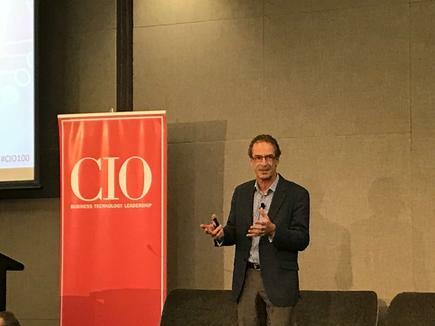 CIO New Zealand launches annual report on the most transformative and disruptive technology and digital leaders. 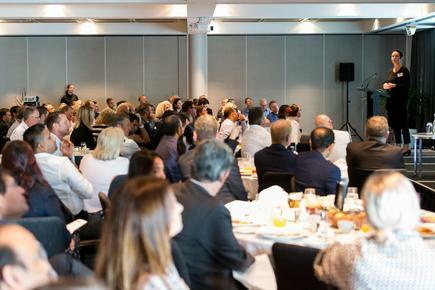 For Avi Golan, leadership all comes back to the Maori proverb of valuing what matters most. 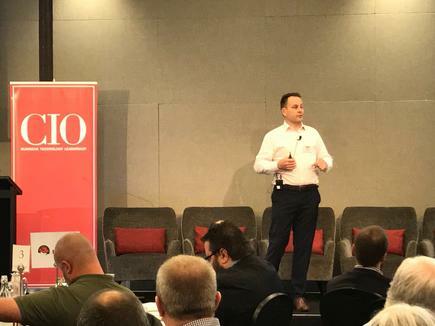 “At the end of the day it’s all about creating the culture that cultivates innovation, inspiration and exploration and the only way to do it is to improve the engagement of our people,” says Golan, chief digital officer of Air New Zealand. “We have to provide a fun place of work, give them ‘permission to play’, create a space to innovate and liberate the team to create ideas as much as they can." 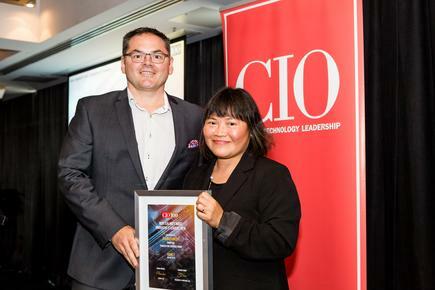 How he applied this approach at Air New Zealand propelled him to the top rank in the CIO100, the annual report on the country’s most transformative and innovative technology and digital leaders. 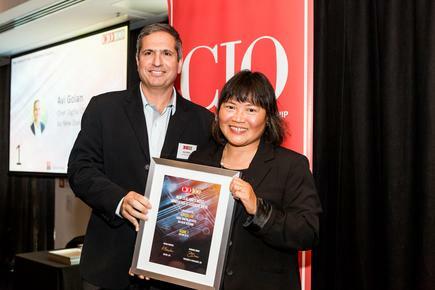 Golan and his team were feted at the CIO100 launch last Tuesday in Auckland, attended by more than 130 CIOs, CEOs, CDOs and business technology leaders. 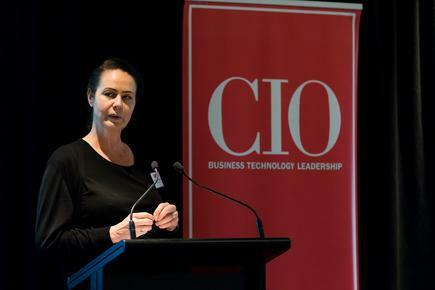 The CIO100 was also launched in Wellington on Wednesday, to a crowd of more than 60 ICT leaders. 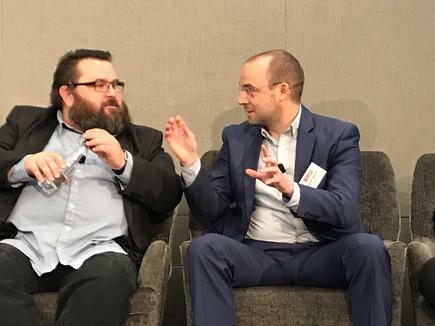 David Kennedy of Transaction Services Group and Aaron Toatelegese of Bank of New Zealand are numbers two and three, respectively, in the list. 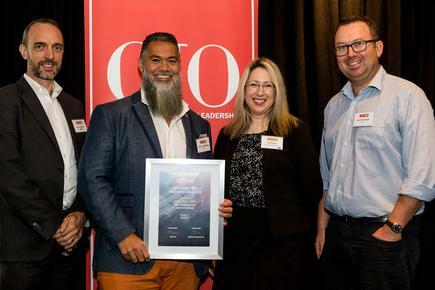 Aaron Toatelegese (second from left) of Bank of New Zealand is number three in the CIO100. 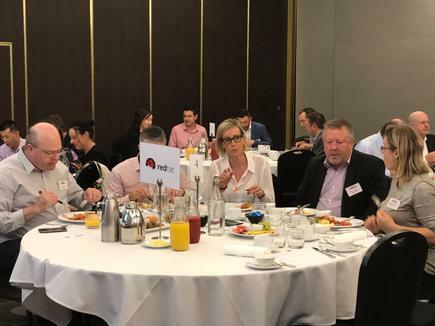 He is joined by his team members: John Baddiley, head of technology strategy; Katarina Kolich, head of enterprise data and information services; and Gerard Graham, chief operating officer technology. 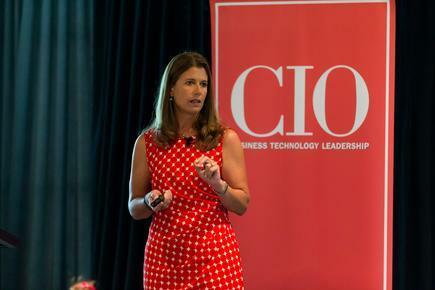 The CIO100 leaders were chosen by a panel of judges based on how they are delivering change across their organisations while excelling in business transformation, innovation and leadership (Read on for 100 stories on digital transformation). The event also recognised the best ICT-enabled programme which helped solve a community or social issue. 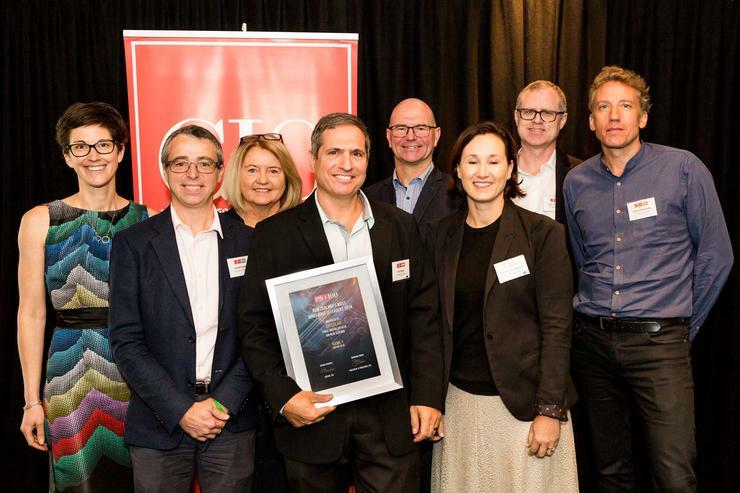 The 2018 winner is the Ministry of Business, Innovation and Employment, represented by CIO Ralph Chivers, for the 111 Emergency Caller Location Information service. The service automatically provides emergency services with the probable location of a caller when they dial 111 from a mobile phone. The service helps improve public safety by decreasing the time taken to accept and verify the location of 111 mobile callers and by reducing the average dispatch time for emergency events from mobile phones. One of the judges said the service stood out because of the “elegance of the solution, great project delivery and sheer scale of the impact of what has been done”. 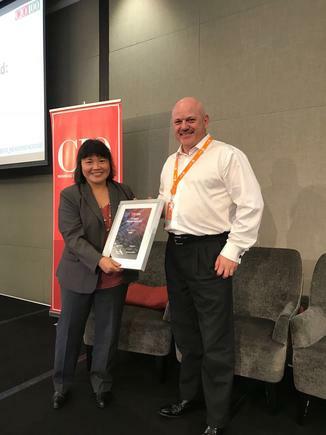 The Royal New Zealand College of General Practitioners for its Quality Assurance to Quality Improvement (QA2QI , a fully digital online assessment that allows the GP practices to fully complete self-assessment against the hundreds of criteria required for Cornerstone. The latter is a complex and in-depth independently assessed multiyear programme that requires GP practices to manage significant risk, legal and safety issues identified by the industry and the college. 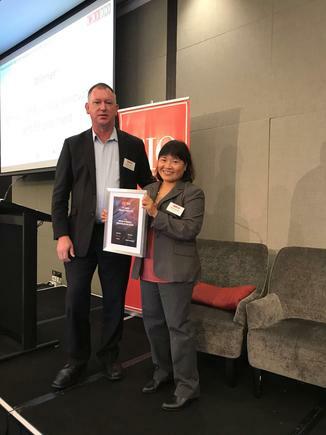 Spark New Zealand received the highly commended award for Spark Jump, an affordable, prepaid broadband solution that promotes equitable educational outcomes for New Zealand children. It provides a free modem and wireless broadband at a heavily subsidised rate for eligible families with school-aged children who cannot afford broadband at home. The other finalists in this category were the CCS Disability Action and Young Innovator Awards. 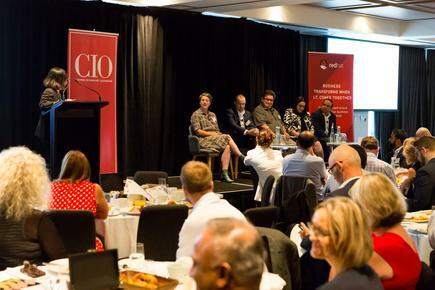 The CIO100 events featured speakers from Gartner (Michele Caminos in Auckland and Neil Osmond in Wellington), Jen Cherrington-Mowat of Genesis Energy in Auckland and Gary Baird of Inland Revenue in Wellington, and interactive panel discussions. 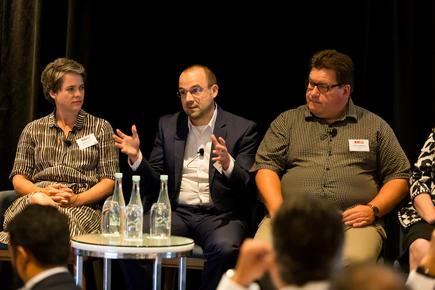 In Auckland, the panellists were Timothy Kasbe, chief information officer and chief digital officer at The Warehouse Group; Matti Seikkula, CIO at e-Spatial; Melissa Firth, chief digital officer of the The Museum of New Zealand Te Papa Tongarewa; Dr Claire Barber, chief digital officer, Spark NZ and Andreas Spanner, chief architect at Red Hat. 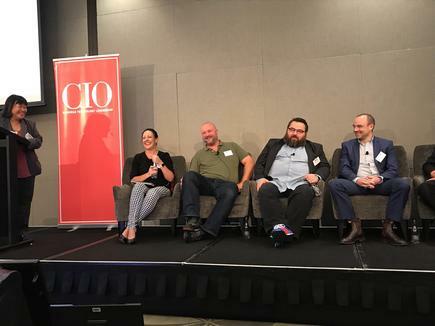 In Wellington, the panellists were Matti Seikkula, CIO at e-Spatial: Lukasz Zawilski, CIO at NZQA; Carmen Casagranda, CIO at Cigna; Ralph Chivers, CIO of the Ministry of Business, Innovation and Employment; Nic Olivier, head of enterprise cloud services, products and technology, Bank of New Zealand; and Andreas Spanner, chief architect at Red Hat.